New sounds from John Doe, Grant-Lee Phillips, Blind Lemon Pledge, and Hayes Carll. 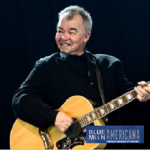 Also…we’re prepping the airwaves in anticipation of John Prine arriving in Santa Rosa for a May 17th performance at the Luther Burbank Center. We’ll put the petal to the Prine metal and share a new track from Jason Wilber’s new album Echoes as Jason will be backing up John on guitar. What better way to fill the room around you than with Blue Moon Americana, produced exclusively for Sonoma County’s newest community radio voice, 88.1 FM, streaming 24/7 atwww.kwtf.fm.